For those who are interested, you can find the plugin in the WordPress Plugin Repository. You can also download it from within your WordPress dashboard. It’s entirely free. I’ve found excerpts for WordPress are useful and the longer I’ve blogged, the more I’ve found this to be true especially in instances where you’re sharing posts via email and/or via networks like Google+ (which does generate traffic, all jokes withstanding). Easier Excerpts allow you to provide a preview of your post to your readers as well as the email marketing service used to email new blog posts to your mailing list. This ultimately drives traffic on your site as your audience reads the remainder of the blog post. Excerpts are one of those things that I use daily, and I wanted to make it a little bit easier on myself when putting them together. So I hacked together a small plugin for my particular installation. But regarding code quality, how it worked, documentation, and presentation? It left a lot of work to do. That is, I would’ve never released it for anyone else. I mean, it was just for me. I knew how it worked, so I was all right with that. Other people blog, too, though. And if we’re aiming to try to improve other people’s blogging experience through the use of small, tightly-focused plugins then it makes sense to attempt to release something that would do just that, wouldn’t it? 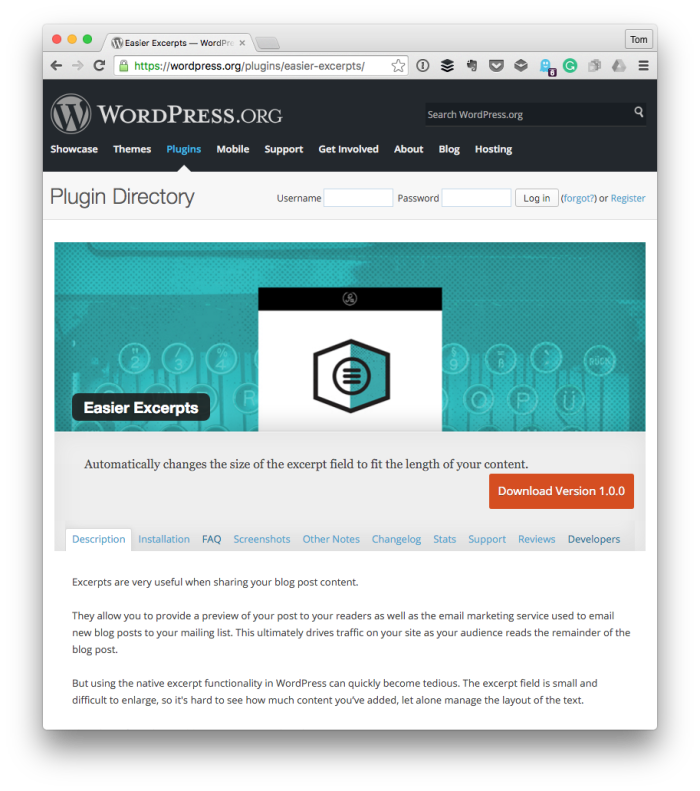 So here are some behind-the-scenes information about Easier Excerpts for WordPress. Give something back to those in WordPress who aren’t developers or designers, but those who use the CMS as a way to blog and help improve their process. Release something that would follow the “decisions, not options” ethos that would follow the WordPress Coding Standards, and that would tease a bit of the advanced plugins that are to come. Introduce ourselves and the look and feel we’re going for with the suite of plugins we’re working on putting together. Admittedly, writing post excerpts aren’t exciting. Sometimes they are an afterthought. But even if not, this is one way to help work with a traditionally small text area. Ultimately, the plugin aims to help streamline one small aspect of your blogging routine. Ultimately, it’s also meant to demonstrate the type of turn-key solutions we’re looking to build. That is, you install it, you activate it, and then you get on with your work. This doesn’t mean that some plugins won’t have options pages or settings to tweak, but they’ll be minimal. And, if possible, they won’t exist at all. Right now, we’re working on an improving an existing plugin that I’ve had available for some time on GitHub though it’s in need of a re-write. On top of that, there are a number of feature requests (and feature ideas) we have for this particular plugin and for where it can go. We’re eager to get to work on it. As of now, the plugin is set to be a premium plugin but it will continue to fall in line with the mantra of “[streamlining] one aspect of your blogging routine” while also trying to stay out of your way while doing so. I love the simple utility of this, and what looks to be future Pressware plugins. It’s great to read the origin story of it, and think about how it interacts with our own technology. 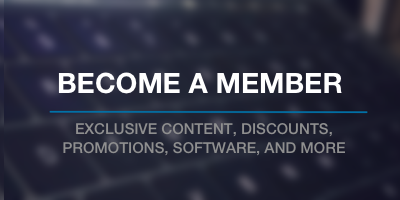 It is definitely something our other users will take an interest. I can’t wait to use this. Thanks, dude!